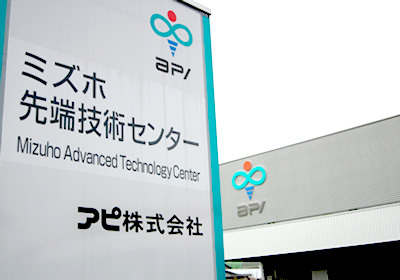 Designed to carry out preclinical-trial research and development, Mizuho Advanced Technology Center provides the equipment and facilities necessary to study cellular culturing methods and protein purification methods in the development of next-generation pharmaceuticals, including Class 10,000 and 100,000 clean rooms. It also provides an array of analytical equipment to perform tasks such as thermal analysis, intermolecular interaction analysis, and nucleic acid analysis, including Freeze-Drying equipment for developing next-generation pharmaceuticals and low-molecular-weight pharmaceuticals. The Center carries out a range of studies at each development stage.